SALT LAKE CITY— A new Koch-funded research center at Utah State University is taking over the work of a private anti-public-lands think tank, leveraging the public university’s name and credibility for projects that stand to benefit Koch Industries, according to a new report released today by the Center for Biological Diversity and UnKoch My Campus. The Center for Growth and Opportunity is carrying on the work of the Logan-based Strata Policy, a Koch-funded advocacy group. Research and policy work at the Center, established at Utah State in 2017 with a $25 million matching donation from the Charles Koch Foundation, stands to boost profits for Koch Industries and others in the Koch philanthropic network, the report found. The groups are calling on Utah State to rescind its agreement with the Koch Foundation and disaffiliate itself from the Center for Growth and Opportunity. Koch Industries is involved in oil and gas extraction, transportation and refining, cattle grazing, logging and other activities on public lands. The Koch Foundation has spent some $200 million to support faculty and centers on more than 300 U.S. higher-education campuses. The foundation’s gift to Utah State is its largest to a western university. The Center for Growth and Opportunity’s work includes policy research and commentary supporting public lands privatization and the rollback of environmental protections. Most of its employees worked for Strata, and the Center is continuing much of the private think tank’s anti-public-lands work, the report found. Has veto power over the hiring of six new Utah State faculty members. Strata and the Center are connected to many of the country’s most prominent anti-public-lands figures, including members of Utah’s congressional delegation and state legislature and members of the far-right militant arm of the anti-public-lands movement. It is this conservative ascendancy that Jane Mayer chronicles in “Dark Money.” The book is written in straightforward and largely unemotional prose, but it reads as if conceived in quiet anger. Mayer believes that the Koch brothers and a small number of allied plutocrats have essentially hijacked American democracy, using their money not just to compete with their political adversaries, but to drown them out. A staff writer for The New Yorker, ¬Mayer spent five years working on “Dark Money,” which originated with an article on the Koch family she published in the magazine in 2010. Neither Charles nor David Koch agreed to talk to her, and several of the most important figures in their political network were unavailable. But she reached hundreds of sources who did want to talk: longtime conservative campaign operatives, business associates, political opponents and political finance scholars. Some of these sources spoke on the record and some did not, but all in all “Dark Money” emerges as an impressively reported and well-documented work. This rates right up there with Oregon & Colorado universities who wanted to support spaying of wild horse mares! Sadly, I doubt making Utah Univ. aware of our disgust will change anything due to the TWENTY FIVE MILLION DOLLAR bribe! 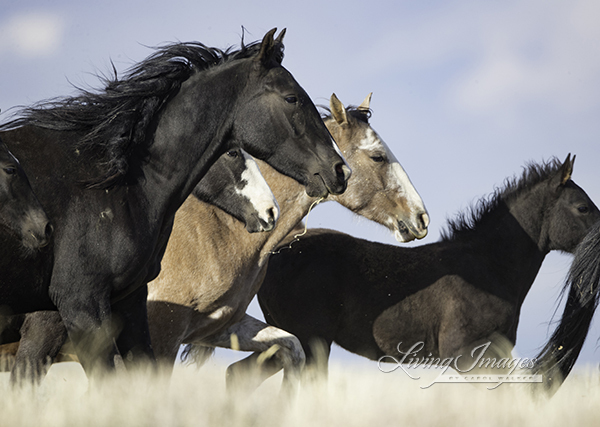 Another Utah “dirty deal” for our wild horses on their congressionally designated lands is the loss (sale/trade) of our public lands of Utah’s Blawn Wash Wild Horse Herd Management Area. It is now listed as a Herd Area – i.e. no wild horses allowed. 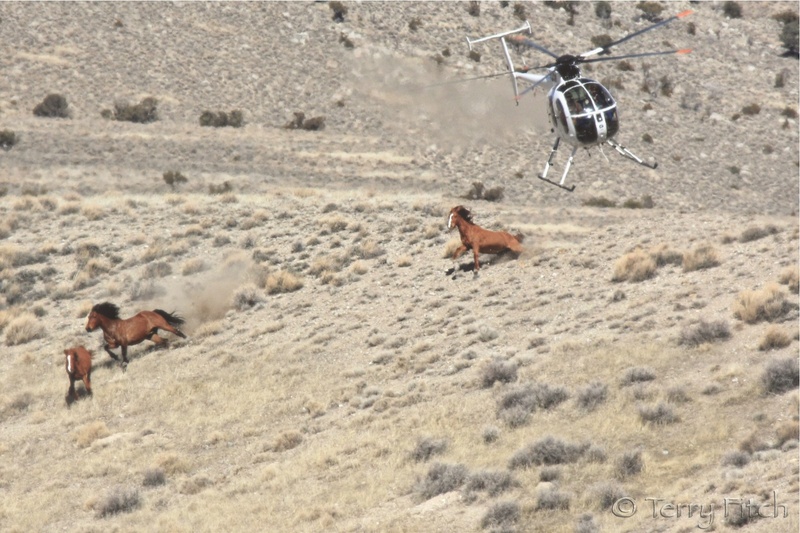 Hundreds of our wild horses have been removed from this legally designated wild horse land. Nearly half of this roughly 100 square mile area is now owned by the Utah State School and Institutional Trust Lands Administration (SITLA). (Look up SITLA … for more information about who controls SITLA). Given SITLA’s mandate to maximize profitability, they will not allow any “invasive” grazers (in their minds wild horses) gobbling up feed on land leased to “domestic” cattle ranchers. 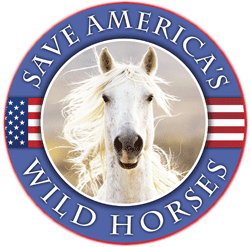 Thus, they have pressured the BLM to complete numerous capture/removals within recent years, with 158 mustangs removed from the area in August 2016 and even more in recent years including February of this year, 2018. I doubt there are any wild horse on these legally wild horse lands today. Corruption. Why do we condemn coke addicts but not Koch addicts? Both are shredding our society. Speaking of Utah, I have had this terrible feeling that there could be a massive grave in some secret location there, with maybe thousands of equine bodies dumped. Abhorrent, I know, but I put nothing past the BLM destruction machine at this point, or Ryan Zinke. Just as loathesom is the BLM funneling Mustangs and burros to the major kill buyers like Dennis Chavez in New Mexico through his ‘ buddy system’. It is so.very.corrupt. And has been going on for a very long time. Why do you think this is only likely in Utah? I just got that impression, IcySpots. Utah would be wide open for that kind of atrocity, and now with the big push off for what appears to be a true Holocaust of our wild ones, this state could very well be complicit in the worst way. 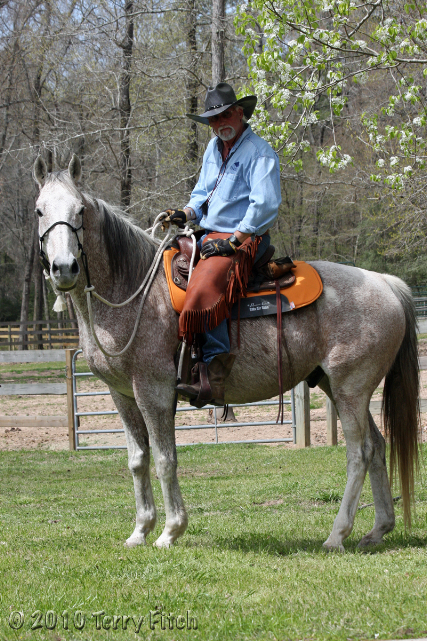 Deborah, I am fairly certain wild horses are already in the ground in many states, but not reported. The fraudulent accounting for numbers posted here by others clearly shows there are thousands of horses unaccounted for, and in combination with the often severely restricted public access points to a similar conclusion. USU is a land grant university that was established years before the place we now call Utah achieved statehood. Land grant universities were created by the federal government gifting public lands for this purpose. So USU was founded for the general public from public lands. It is cynical beyond my comprehension that the KOCH “think tank” which is clearly anti-public lands (and especially since Utah is ground zero for the state’s rights movement which asserts there is no such thing as federal land, only state land) could or should have any standing at USU. It would make more sense for it to attach itself to BYU and that ideology. It does not belong nor should it have any authority within a land grant university whose existence springs from public lands. The history of land grant colleges of agriculture is intertwined with the history of higher education for U.S. citizens of average means. The land grant system began in 1862 with a piece of legislation known as the Morrill Act (see box copy, p. 2). This law gave states public lands provided the lands be sold or used for profit and the proceeds used to establish at least one college—hence, land grant colleges—that would teach agriculture and the mechanical arts. Land grants for the establishment of colleges of agriculture and mechanical arts were also later given to U.S. territories and the District of Columbia. The legislative mandate for these land grant colleges helped extend higher education to broad segments of the U.S. population. “Interior Secretary Ryan Zinke’s plan calls for realigning the department into 12 unified regions and relocating many decision-makers from Washington to field offices. The department has nine major sub-agencies and multiple regional boundaries, many following state borders. The new unified boundaries are based on rivers and ecosystems rather than state borders. Department officials say the reorganization would streamline decision-making and put managers closer to the lands they oversee. Susan Combs, a Zinke adviser who is spearheading the reorganization, said Zinke wants to have a top manager appointed for each of the unified regions by the July 1 target date. No date has been announced for moving any personnel to new locations. The Interior reorganization is thought to be the first step in a possible Bureau of Land Management headquarters move from Washington, D.C., to the West. Colorado, and specifically Grand Junction, have been in the mix to land the relocated BLM hub should it become a reality. Eight of the nine members of Colorado’s congressional delegation have been pushing for the BLM headquarters move. Rep. Raul Grijalva, D-Arizona, called the broader Interior plan unworkable and vowed closer scrutiny if Democrats win a majority in the House of Representatives in Tuesday’s election. “Secretary Zinke and Deputy Secretary (David) Bernhardt are smashing the Interior Department to pieces and telling employees to pick up the mess,” Grijalva said Thursday. He said the Interior Department has not kept Democratic lawmakers updated on the plan and that the current Republican majority has not provided enough oversight. “Should we hold a House majority in January, we will get to the bottom of why this work was done without congressional awareness,” said Grijalva, the ranking Democrat on the House Natural Resources Committee. Democrats would need to pick up 23 seats to capture the House majority.